Our second test revolves around two scenarios; copying across a folder containing large files such as ISOs; and copying across a program folder full of various small files. 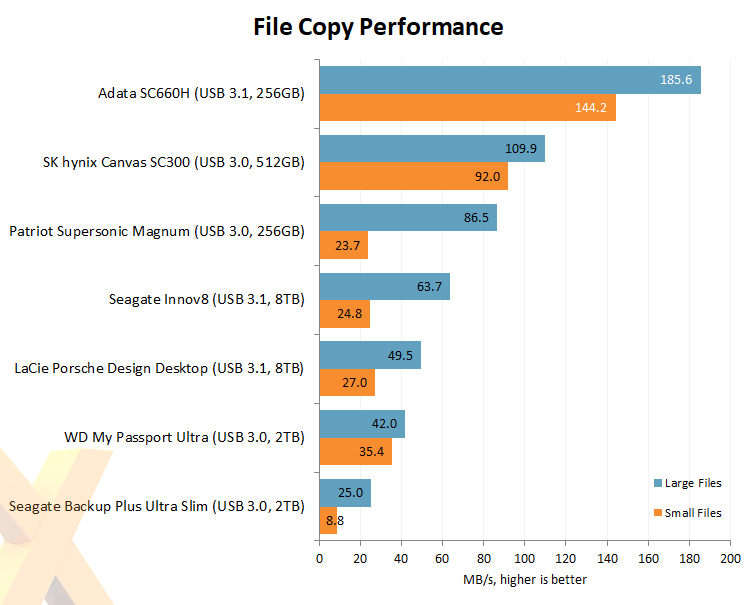 The SC660H is once again the pick of the bunch, and the trade-off is clear to see - external HDDs offer far greater capacity, but an external SSD is superior with regards to performance. Read and write speeds in excess of 400MB/s make the drive ideal for productivity types wanting to create and edit directly onto an external drive. 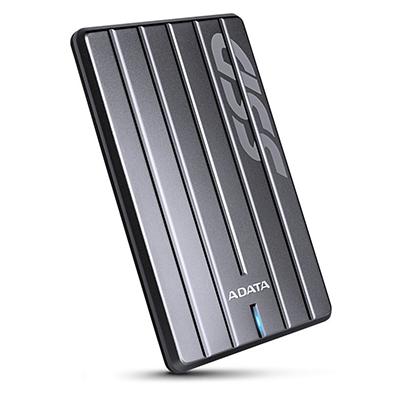 The Adata SC660H is a desktop-class SSD masquerading as an external USB drive. Armed with USB 3.1 connectivity and backward compatible with USB 3.0 and 2.0, the drive needs just one cable to deliver up to 512GB of fast and responsive storage in a sleek, quiet and ultra-light package. Read and write speeds in excess of 400MB/s make the drive ideal for productivity types wanting to create and edit directly onto an external drive, and though the cost-per-gigabyte is prohibitive alongside readily-available hard disks, there are genuine benefits to solid-state media. In the market for an external drive that's fast, durable, silent and slim? Adata's SC660H should be on your shortlist. The Adata SC660H External SSD is available to purchase from Amazon.